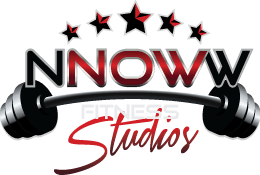 When it comes to weight-loss counseling and nutritional advice, look no further than NNOWW, Inc. in Bayside, New York. Our staff provides personal advice that helps you keep your weight under control. Our weight-loss counseling service begins with a free consultation, and continued sessions range from 45 to 60 minutes for $75 per session. During the consultation, your goals, obstacles, and skills are discussed so our trainers can get a feel for what you would like and what is holding you back from obtaining your goals. Monthly coaching is $150 and includes 2 sessions a month as well as an exercise routine, weekly weigh-ins and continuous meal plan adjustments. Our goal is to teach you the skills to stay successful at losing weight. Arrange a meeting with one of our personal trainers to get you started on a phase one meal plan that is tailored to your goals, fitness recommendations, and lifestyle. The price per consultation is $50. Contact us to learn more about the weight-loss counseling and nutritional advice that will turn your life around.